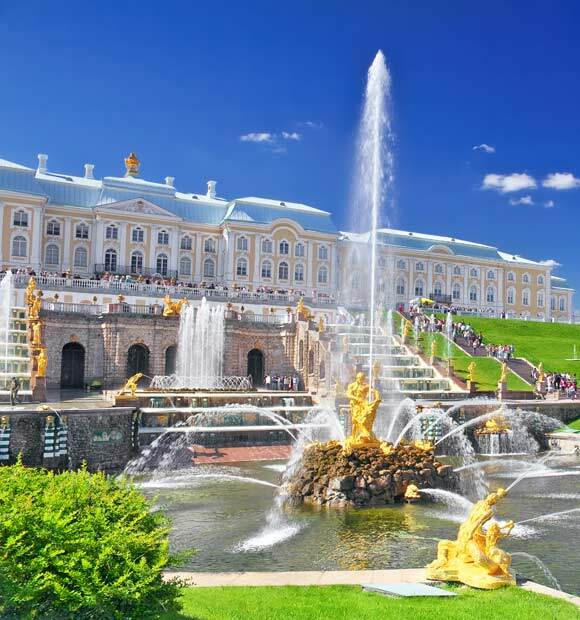 The largest of Russia’s historic Golden Ring cities, a collection of cities which are noted for their prominent role in the country’s history, Yaroslavi features on a number of Volga River itineraries and is home to a UNESCO World Heritage Site historic area and a number of notable architectural landmarks. This area lies at the point where the Volga meets the Kotorosi River and is naturally where most visitors head. Yaroslavi can trace its history back to 1010 and was once Russia’s second largest city and even its capital for a time, when Moscow was occupied by Polish forces in 1612. 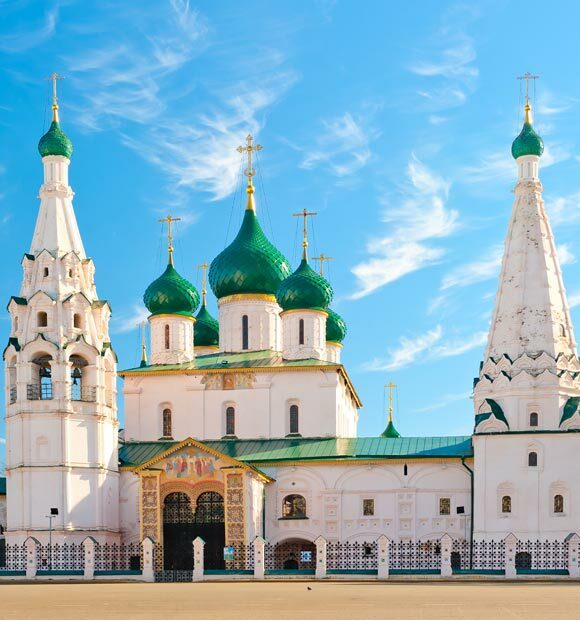 Yaroslavl is best known for its impressive architecture, a great deal of which has survived the ravages of various wars and conflicts to remain a truly compelling attraction. 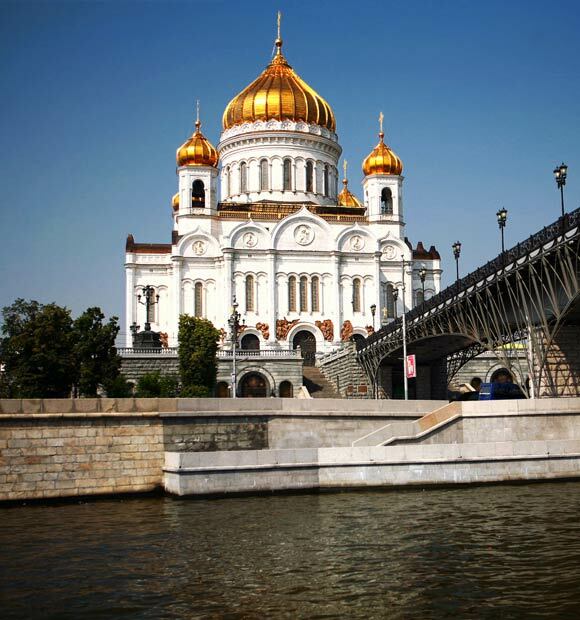 In classic Russian style, you’ll find a profusion of onion-domed architecture most notable atop the impressive St John the Baptist Church, which is a classic example of Russian Orthodox architecture and boasts no fewer than 15 of them. So celebrated is the church that it features on Russia’s thousand ruble note. It’s as much of a must-see on the inside too, featuring a range of stunning 17th century frescos. The Church of Ilya the Prophet stands in stark white contrast to the red brick of St John the Baptist, though it has a number of things in common, namely onion domes, a 17th century origin and some truly beautiful interior frescos. 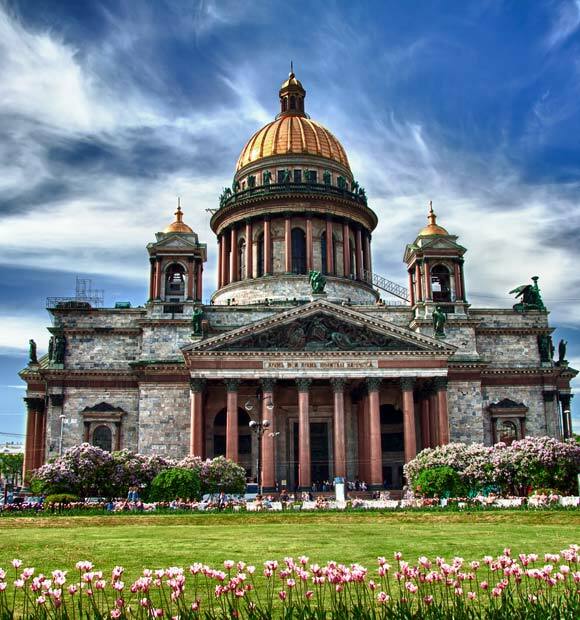 History shows that this architectural gem, unlike so many other Russian places of worship, escaped the destructive hand of Stalin to survive today as one of the country’s finest showcases of religious art, boasting some beautiful examples inside. Similar in colour on the outside, Vvedenskiy Tolga Convent is another popular attraction in the city, famous for its calming atmosphere and distinctive interior frescos. You’d be forgiven for thinking that Yaroslavi is not a city which is famous for its novel tourist experiences, yet a visit to the famous Bear Monument is a tourist must-do, in that every hour on the hour, the bear on the statue roars. It’s built to reference an important moment in the founding of the city, when the city’s founder, Yaroslav himself, fought a bear after his arrival in the area, so be sure to get your picture with the modern-day bear when you visit. A more architecturally contemporary attraction is the Valentina Tereshkova Planetarium, which boasts an absorbing programme of Star Shows, a fascinating museum as well as a café if you feel like taking a load off. If you’re in search of authentic gifts, Deputatskaya Street is the place to go, featuring a number of traditional clothing and other stores, while conveniently, the Volga promenade area is where you can find some of the best places to eat in the city.